I'm always looking for new ways to cook up old favorites. 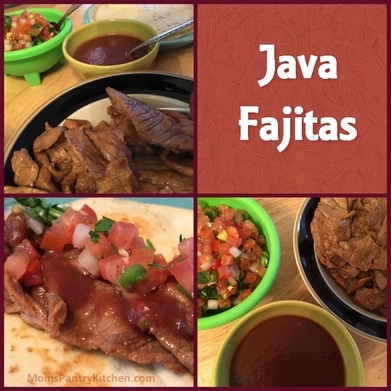 The addition of coffee in this recipe makes for a wonderful deep flavor to the beef as well as in the sauce. For those of you wondering if the coffee taste is overpowering the answer is no -- it simply enhances the flavor of the other ingredients. In a ziploc bag combine tomato paste. coffee. Worcestershire sauce, sugar, lime juice, black pepper and if desired, red pepper. Mix well. Remove 2/3 cup for later. Slice flank steak into thin slices across the grain. Add the meat to the ziploc bag, and refrigerate for a few hours, preferably at least 4. Remove steak pieces from marinade and grill in a hot pan. Discard the marinade left in the bag. To serve, place grilled beef slices in the middle of tortilla, garnish with fresh pico de gallo (recipe here) and drizzle with the sauce. Continuing garnishing as desired, and roll up and serve.